Smartphones have become highly popular all over the world in the recent years. For business or for personal use, people prefer using smartphones today much more than other forms of technology. The reasons for this preference are quite clear. Smartphones offer various advantages over almost any other devices. When it comes to entertainment, smartphones are far becoming one of the most favored options among people to keep them entertained. While people still watch TV in their houses, a lot of people today are replacing its use with smartphones. One of the most basic reasons why people prefer watching videos on smartphones rather than TV is because they are portable. You don’t have to wait to reach your home to watch your favorite show. With a smartphone, you can watch it easily any time you want when you have time available. It is like carrying your TV in your pocket with you throughout the day. The smartphone can give you access to a large variety of content. Anything that is available on the internet is available for you to watch at any time you feel like watching it. Unlike TV, you don’t have to wait for it to be a particular time to watch your favorite program. If you want to watch it at your lunch hour the next day, there is nothing stopping you. The smartphones now come with several built-in or available apps that allow you to watch TV over your smartphone conveniently. These apps allow you to download your favorite shows and store them in your phone and watch them anytime, even without internet access. For shows you watch regularly, you can even allow automated download. 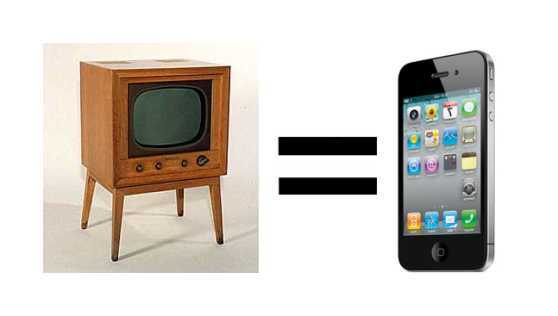 If you are giving up your TV for your smartphone, there will be no more payments for the cable charges. You can connect to a Wi-Fi and download videos of your choice and watch them any time you want. Using smartphones to watch videos can save you a lot of energy costs as well that mount up as you watch more TV. You can simply put on your headphones and get started with watching the videos of your choice. With a TV, there are always too many users fighting over channels, so you can let your kids watch cartoons while you watch your favorite soap or news segment. Smartphone gives you a complete freedom to watch shows of your will without bickering about them with your family. And the best part is, if you are interrupted, you can just start off from where you left. There is no need to miss your show and wait for a repeat telecast. And you can save yourself from watching unnecessary advertisements. Smartphones allow you a much better control level over your TV habits. You can bookmark your favorite show sites and reach them any time you want. With smartphones, you can get a much more customized experience of entertainment. There are no advertisements, no interruptions and you can jump to your favorite part in a jiffy. So, why waste time over the TV waiting for the show to get on road? Once you give up your cable connection because you are watching videos over the internet, the bunch of wires that keep cluttering your den or sitting room will disappear. With smartphones, there is no need to connect them with any cables or modems. Just a Wi-Fi connection and you are set to indulge in your favorite shows. With all these advantages, there are many who prefer spending their time with their smartphones rather than their TV, watching a more customized selection of video with more convenience. You can watch whatever you want, anytime, anywhere without having to worry about interruptions and missed shows. If you are still planning to keep a TV, get a more customized cable connection while delegating the other videos to your smartphones. You can get the latest Dish Network Latino Channels over at LatinoSatelite.com.